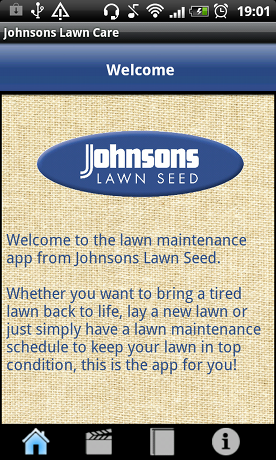 Just released into the android store is the lawn care app from Johnson’s Lawn Seed. Johnson’s Lawn Care app features short informative videos on, caring for a new and problem lawn, and general lawn maintenance. The app showcase Johnson’s range of lawn care products, and gives details of product constituents and sowing requirements. Click on the app store icon below to download the app to your phone.